The work of architect and Florida Artists Hall of Fame inductee Robert C. Broward has literally changed the face of Florida. 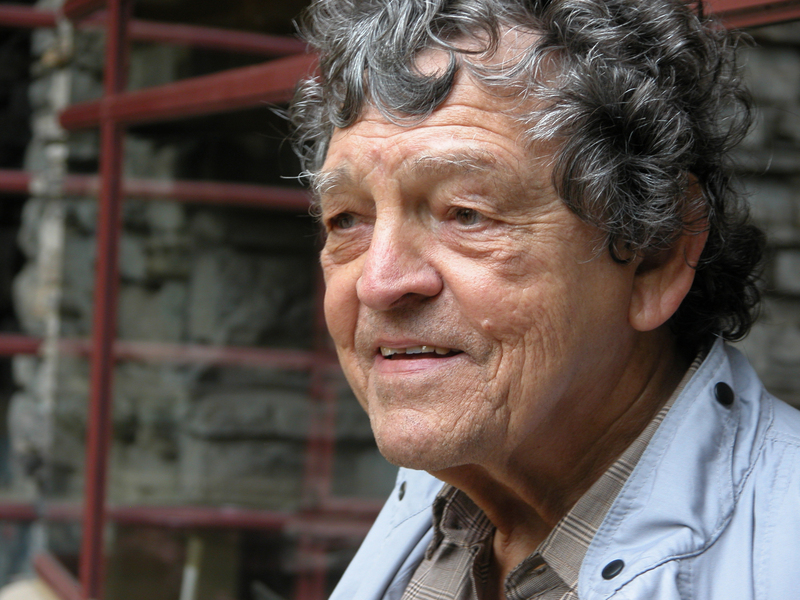 He began his career in 1949 as an apprentice to Frank Lloyd Wright during the construction of Florida Southern College, and his work as an author continues to this day. In sixty-one years of architectural practice in Florida, Broward has produced diverse designs including small homes and chapels, as well as large warehouses, office buildings, churches museums, movie theaters, high-rise buildings, oceanfront residences and corporate headquarters. 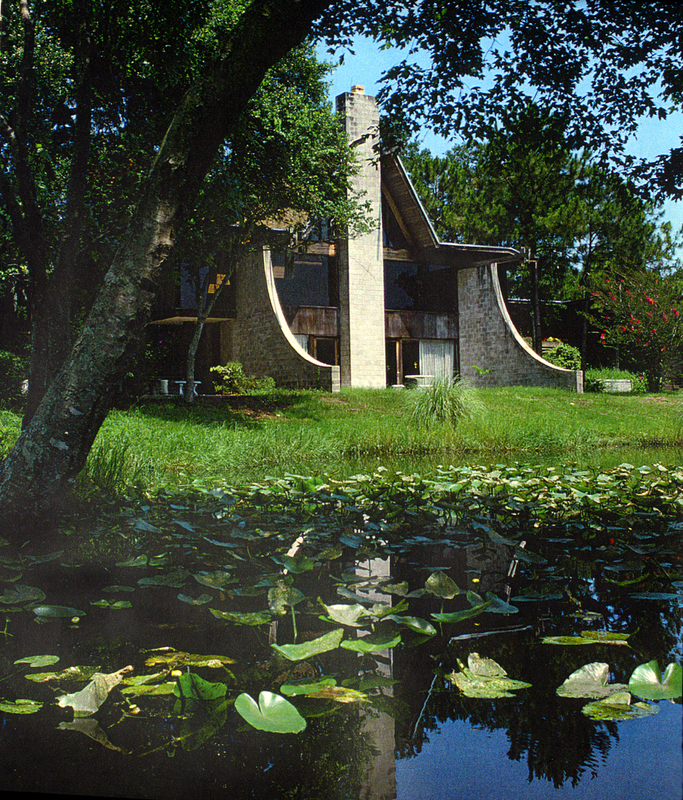 His love of nature, particularly in Florida (where has been a lifelong resident), inspired his organic architectural methods. In his work, design and sustainability parallel a commitment to environmental stewardship. Methods of building, materials, site conditions, orientation to the sun, rain and other natural phenomena were major considerations in Broward’s work. In just one example, he often designed rainwater collection to create spilling effects as a decorative and sonic element, celebrating frequent rainstorms in Florida. Unitarian Church, Jacksonville, 1965. Image courtesy/used by permission of Robert C. Broward. As a teacher, mentor and author, Broward contributed to architectural scholarship by influencing the careers of two generations of architects. He taught for four decades in academia as Adjunct Professor of Design at the University of Florida. He wrote the definitive scholarly work on Henry John Klutho’s Jacksonville structures. Now in its second edition, the book features of 500 photographs of the early twentieth century architecture that revived a city ravaged by fire. Broward published in numerous magazines, books and newspapers, and an entire issue of a national architectural journal was devoted to his work. In 2011, Broward was elevated to the prestigious American Institute of Architects (AIA) College of Fellows, the highest designation in the architectural profession. In February 2012, he was inducted info the Florida Artists Hall of Fame during a ceremony at the Jacksonville Historical Society. His prolific career has produced a legacy of outstanding architecture throughout Florida and beyond. This entry was posted in Spotlight On and tagged American Institute of Architects, College of Fellows, culture builds florida, Florida Architecture, Florida Artists Hall of Fame, florida division of cultural affairs, Henry John Klutho, Jacksonville, Jacksonville Historical Society, Robert C. Broward by culturebuildsflorida. Bookmark the permalink.